ALL APPLICATIONS MUST BE TYPED IN BLOCK LETTERS, OR THEY WILL BE REJECTED BY THE EMBASSY! Two (2) passport photographs Remember to submit your passport when you apply for a visa and please attach twostandard passport-size photos (glued or stapled). Photos must be recent, frontal-view, of the same batch, untouched, taken on white background and showing applicant wearing no glasses of any kind, except for prescription eyewear. Please write first and last names of applicant in pencil on back of photos. Please read carefully the instructions before filling out the application forms in duplicate. Answer all the questions on the application form and fill out all the sections of the form. For example, if your parents are deceased, give their full names. Do not leave the section blank and do not write “Deceased”. A letter of invitation from the Host Company in Algeria is required for all business and work visas. 1. Processing fees for business, tourist, family, press and transit visa will be increased to $ 191.00 US $; Includes out sourcing fee. 2. Processing fees for working, temporary working and cultural visa will be increased to $ 221.00 US $; Includes out sourcing fee. 3. The adjustment does not apply to visa applications made on or before April 13, 2012. Please note that fees for visa applications must be paid by money-order delivered exclusively by the U.S. Post Office and made out, accordingly, to either the Embassy of Algeria or the Consulate General of Algeria in New York. 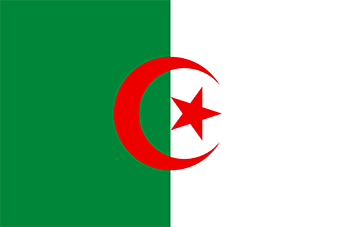 The Algeria tourist or business visa is usually valid for entry within 45 days from the issue date provided the passport remains valid; the visa is then valid for three months from the first entry date. Copy of the work permit authorization issued by the Algerian Ministry of Labor. See Embassy instructions. The visas documents are accepted between 9Am-1Pm (Monday to Thursday). Your application will be checked and hand-carried to the embassy. Processing time for the embassy is usually 2-3 weeks.